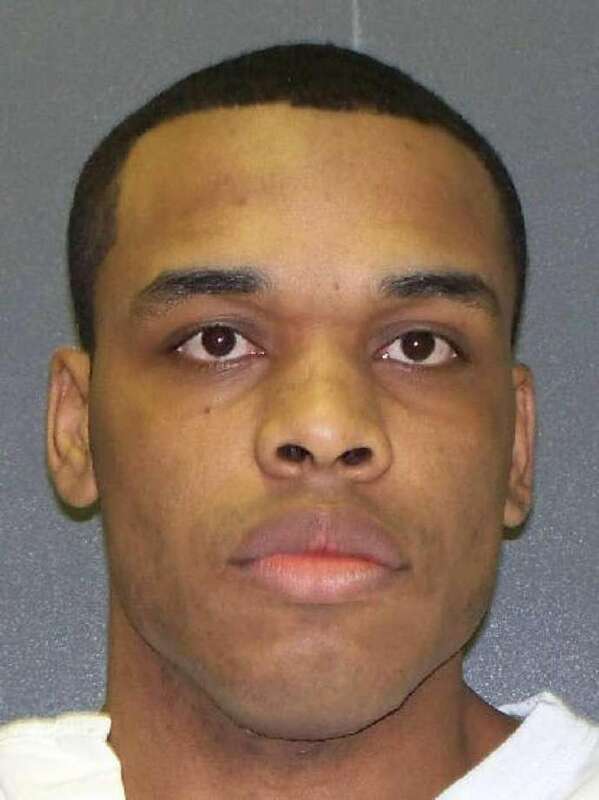 Against the wishes of the victim's family and amidst charges that the rejection of his clemency application was rooted in racial bias, Texas executed Christopher Young (pictured) on July 17, 2018. Young—who had been drunk and high on drugs when he killed Hashmukh Patel during a failed robbery in 2004—had repeatedly expressed remorse for the murder and had been mentoring troubled youth in an effort to prevent them from repeating his mistakes. The victim's son, Mitesh Patel, had urged clemency for Young, saying that he didn't want Young's children to grow up without a father, and that Young could be a positive influence by continuing his mentorship activities. Mitesh Patel, who had an emotional visit with Young the day before the execution, said the meeting left him with "a sense of sadness." "I really do believe Chris Young today is not the person he was 14 years ago," Patel said. 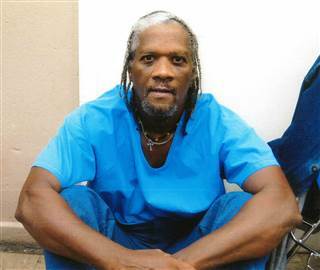 "It's really unfortunate that the [pardons] board didn't hear our request for clemency. I feel sadness for his family. They're going to be walking down the same path my family has been on the last 14 years." On July 13, the Texas Board of Pardons and Parole voted 6-0, with one abstention, to deny Young's clemency application. Young's attorneys then filed a civil-rights suit in federal court, seeking a stay of execution on the grounds that the board's decision had been racially biased. Young's lawyer, David Dow, said family members of the murder victim have asked the pardons board six times this century to commute the death sentence imposed on the person convicted of murdering their loved one. "[O]f those six," Dow said, "three are black, two are Hispanic and one is white. Only in the case of the white guy [Thomas Whitaker] did they vote to recommend commutation.” U.S. District Judge Keith Ellison denied Young's request for a stay, but expressed extreme displeasure about the constricted timeframe for judicial review and the state's lack of concern about the possibility of racial bias. The case, he said, "dramatizes much of what is most troubling about the procedures by which we execute criminal defendants." He continued, "In a rational world, the Court would be able to authorize discovery and sift through the evidence obtained thereby. ... Here, ... the time frame is designed to render impossible intelligent and dispassionate judicial review. Applicable principles of law seem nonexistent." "Those engaging in race discrimination seldom announce their motivations," Judge Ellison said, and the timeframe made it "well-nigh impossible" for Young to prove his claims. "Ideally," Ellison wrote, Texas "would be determined to show that racial considerations had not infected the clemency proceeding. ... [H]owever, the State is eager to proceed with [Young's] execution without either side having any opportunity to explore the [issue]." In his final statement, Young said "l want to make sure the Patel family knows I love them like they love me. Make sure the kids in the world know I’m being executed and those kids I’ve been mentoring keep this fight going." The execution was the eighth in Texas and the thirteenth in the U.S. in 2018. Harvard Law Professor Carol Steiker (pictured), co-author of the highly acclaimed book, Courting Death: The Supreme Court and Capital Punishment, joins DPIC’s Robin Konrad for a provocative discussion of the past and future of America’s death penalty. In the latest episode of Discussions with DPIC, Professor Steiker—who served as a clerk for Supreme Court Justice Thurgood Marshall—takes us inside the walls of the Court for insights on the justices’ approaches to capital-punishment jurisprudence and the impact of Justice Marshall’s legacy on the Court today. She describes her experience with death-penalty cases as a U.S. Supreme Court clerk, and talks about the recurring evolution of the justices’ views on the death penalty as they experience years of failed attempts to redress its systemic flaws. In putting the modern death penalty in context, Professor Steiker focuses particularly on the relationship between race and capital punishment. “Today’s death penalty,” she says, “is inextricably tied to a history of slavery, of lynching, of progressive anti-lynching support of the death penalty. Those are the waves of history that are still lapping at the shore of the present.” The legacy of that history, she says, continues to be felt in the overwhelmingly disproportional use of capital punishment by the states of the former Confederacy, as compared to the rest of the country, and the disparate pursuit and imposition of the death penalty in cases involving White victims. Steiker identifies systemic problems in today’s death penalty that she says could some day lead the U.S. Supreme Court to declare it unconstitutional, including the politicization of judges and prosecutors and the “abysmal” state of capital representation. When and if abolition occurs, she says, will depend ultimately on the composition of the Court. A new study shows that the Mississippi District Attorney's office that has prosecuted Curtis Flowers for capital murder six times—striking almost all black jurors in each trial—has disproportionately excluded African Americans from jury service for more than a quarter century. 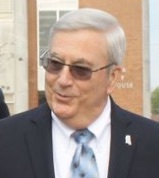 Reviewing the exercise of discretionary jury strikes in 225 trials between 1992 and 2017, American Public Media Reports discovered that during the tenure of Mississippi's Fifth Circuit Court District Attorney Doug Evans (pictured) prosecutors have exercised peremptory strikes to exclude African Americans from jury service at nearly 4½ times the rate at which they struck white jurors. APM Reports collected and analyzed data on more than 6,700 jurors called for jury service in the the Fifth District. Its study—which was reviewed before its release by a statistics expert and two law professors who had conducted prior jury-strike studies—found that Fifth District prosecutors struck 50 percent of all eligible black jurors compared to only 11 percent of eligible whites. Looking at potentially race-neutral factors raised during juror questioning, APM Reports found that prosecutors were still far more likley to strike black jurors than similarly situated white jurors (click here to enlarge graph). Controlling for these factors, the study found that the odds prosecutors would strike a black juror were six times greater than the odds that they would strike a white juror. APM Reports prepared the study in connection with its acclaimed podcast series In the Dark, which this season focuses on the Flowers case. Evans' office has been scrutinized for alleged race-related abuses of powers during the course of Flowers' six trials for the murder of four furniture store employees. Flowers has consistently professed his innocence. In his first three trials, Flowers was convicted and sentenced to death by all-white or nearly all-white juries. In each of these cases, the state Supreme Court overturned the convictions and ordered new trials. Just before the second trial, Flowers' parents' house burned down. Shortly afterwards, his mother was told of a threat made by a white resident that, "If they let that n----- go, another house is going to burn." Jurors deadlocked in Flowers' fourth and fifth trials, split along racial lines. All the white jurors voted for death in both of those trials. Only one black juror served on the sixth jury, and Flowers was sentenced to death in that trial. Although it is unconstitutional to exclude jurors from service based on race, the practice is ubiquitous in many jurisdictions that heavily use the death penalty. Over the course of 332 criminal trials in CaddoParish, Louisiana in the decade from 2003-2012, prosecutors struck black jurors at more than triple the rate of other jurors, approximately the same disproportionate rate at which black jurors were struck in 35 cases resulting in death sentences in South Carolina in the fifteen years between 1997-2012. In 173 capital cases tried over a twenty-year period in North Carolina, and in more than 300 capital trials over more than two decades in Philadelphia, Pennsylvania, prosecutors struck black jurors twice as frequently as other jurors. Most recently, in Georgia, Johnny Gates, who was sentenced to death in Columbus, Georgia in 1977, has challenged his conviction with evidence that his prosecutors struck every black juror they could in the seven capital trials they prosecuted between 1976 and 1979, empaneling all-white juries in six of those cases. ANALYSIS: Research Supports Assertion that U.S. Death Penalty "Devalues Black Lives"
The Movement for Black Lives has called for abolishing the death penalty in the United States, asserting that capital punishment is a racist legacy of slavery, lynching, and Jim Crow that “devalues Black lives." A Spring 2018 article in the University of Chicago's philosophy journal Ethics, co-authored by Michael Cholbi, Professor of Philosophy at California State Polytechnic University and Alex Madva, Assistant Professor of Philosophy at Cal Poly Pomona, examines the philosophical underpinnings of those assertions and concludes that they are correct. In Black Lives Matter and the Call for Death Penalty Abolition, the authors examine "the two central contentions in the movement’s abolitionist stance"—that the death penalty as practiced in the United States wrongs Black communities as a whole, rather than just the individual Black defendants charged with capital murder or the particular Black victims whose murders were not capitally prosecuted; and that abolition of the death penalty in its entirety, rather than attempts at piecemeal reform, is "the most defensible remedy for this wrong." Cholbi and Madva review numerous 21st-century death-penalty studies and find that the data show two major classes of racial distinctions in American death-penalty practices: a White-victim preference in both prosecutorial choices to seek and jury verdicts to impose the death penalty and a sentencing bias against non-White defendants once a case has been designated as capital. Cholbi and Madva conclude that Black Americans are subject to a citizenship class that renders them vulnerable to both retributive and distributive injustice: retributive in the sense that individual Black capital defendants are empirically more likely to be subject to execution than defendants of other races and distributive in that that those who murder Black people are empirically less likely to be subject to execution than those who murder non-Black people. As a result of, in part, implicit racial biases that manifest at every level of the capital punishment system, Black capital defendants face the retributive injustice of being more likely to be sentenced to death than any other group. “Preexisting biases regarding blacks' proclivity toward and insusceptibility to violence that may otherwise remain dormant are galvanized when individuals are afforded the opportunity to render judgments regarding who ought to be executed for their crimes,” Cholbi and Madva write. In one shocking study cited by the pair, White respondents became more supportive of capital punishment when informed about the issue of racial bias in capital sentencing. Another study showed White members of a mock jury more likely to convict Black people and less likely to convict White people when informed that the maximum sentence possible was death as opposed to a life sentence. “Such results suggest that capital punishment is not just another arena infected with bias but instead represents a distinctive channel for racial discrimination” where anti-Black biases are "activate[d] and amplif[ied]." To not address the distinct and permeative nature of this discrimination, Cholbi and Madva write, “amounts to a form of societal or institutional recklessness.” Research supports the Movement for Black Lives' assertion that all Black people, not just individual Black capital defendants, are unjustly impacted by capital punishment’s systemic racial bias. Because the murder of a Black person is less statistically likely to result in a death sentence, Cholbi and Madva argue, “the law fails to penalize killings of blacks in a manner consistent with their having the equal protection of the law.” Given that the law “routinely punishes those who kill blacks less harshly than those who kill others, killing blacks becomes commensurably less risky (especially if the killer is white)." This distributive injustice “is one that all blacks face, not only those who actually are murdered.” The authors analyze attempted state-level death-penalty reforms and conclude that they “have had modest success at best” at eliminating racial bias, and therefore "abolishing the death penalty may itself be one among many necessary reforms for reducing broader racial disparities in criminal imprisonment." The task of ensuring that the lives of Black people are comparably protected and their killers are equally punished in the U.S. criminal justice system is impossible, they argue, without dismantling the capital punishment system for good. Read more about ANALYSIS: Research Supports Assertion that U.S. Death Penalty "Devalues Black Lives"
New Podcast: Columnist Nicholas Kristof on "The Framing of Kevin Cooper"
In his May 20 column in the Sunday New York Times, Pulitzer Prize winning columnist Nicholas Kristof (pictured, left) focused national attention on the troubling case of California death-row prisoner, Kevin Cooper (pictured, right) and the disturbing evidence suggesting that San Bernardino police planted blood and other evidence to frame him for murder. Kristof joined DPIC Executive Director Robert Dunham for a Discussions with DPIC podcast to talk about his recent column, Was Kevin Cooper Framed for Murder?, and how police came to focus on a 155-pound Black man as the sole suspect in a grizzly quadruple murder, despite physical and eyewitness evidence pointing to three white men, including one already convicted murderer, as the perpetrators. Kristof explained how an opinion by a federal judge led him to write about the case: "What really struck me about [Cooper's case] was that you had a number of federal judges who not only argued that there was doubt about his innocence, but simply argued that, look, he is innocent, he is framed by the sheriff's office. And one very well respected Ninth Circuit judge, William Fletcher, came out and said he is framed by the San Bernardino County Sheriff's Office, and wrote a hundred-page judicial opinion about that, and that just doesn't happen in the law." He says that his piece on Cooper, the longest column in New York Times history, was also inspired by his own failure, and that of the news media at large, to adequately cover the possible innocence of Texas prisoner Cameron Willingham, who was executed in 2004. Willingham's case garnered a great deal of media attention only after he was executed. "I think Kevin Cooper is innocent," Kristof said, and "I want to write while there's still time to affect the outcome." As he does in his column, Kristof describes the rampant irregularities in Cooper's case that led him to conclude that Cooper had been framed, but he also talks in the podcast about the broader systemic problems that lead to wrongful convictions, especially in cases involving defendants of color. Kristof pointed to the lack of accountability for official misconduct as one of most important systemic issues. "There have to be consequences for police or prosecutors when they engage in this kind of misconduct," he said. "Too often, there are no consequences. We understand that there have to be consequences for bank robbery or murder, but there also have to be consequences for police officers who perjure themselves or sheriff's deputies who plant evidence." Finally, he explains how Cooper's case is emblematic of other problems: "The reason I wrote about the Cooper case is not just because of the injustice, I believe, to one man, but more broadly, because it's a window into the way the criminal justice system is periodically just plain broken, especially with regard to defendants of color or indigent defendants in really sensational cases. Sometimes the system works and sometimes it doesn't, but it shouldn't be a game of lottery when people are arrested and charged with capital offenses." 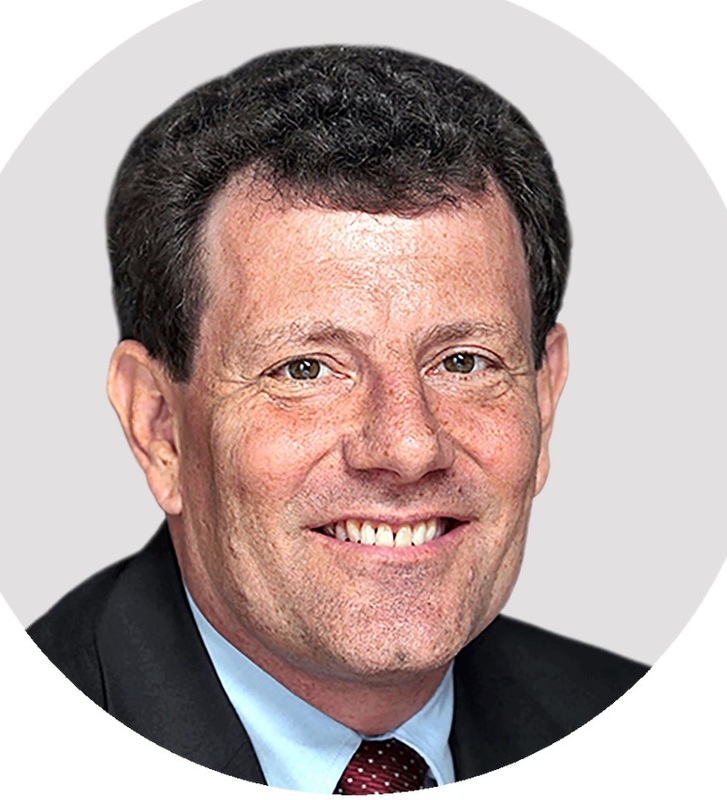 Read more about New Podcast: Columnist Nicholas Kristof on "The Framing of Kevin Cooper"
As support for the death penalty has declined in America, the process of "death-qualification"—which screens potential jurors in death-penalty cases based upon their views about capital punishment—produces increasingly unrepresentative juries from which African Americans are disproportionately excluded and, according to a new study by researchers at the University of California, increasingly biases juries in favor of conviction and death sentences. Death-qualification, the researchers say, "systematically 'whitewashes' the capital eligible pool [and] leaves behind a subgroup [of jurors] that does not represent the views of its community." Professor Mona Lynch (pictured, l.) of University of California-Irvine's Department of Criminology, Law, and Society, and Professor Craig Haney (pictured, r.) of University of California-Santa Cruz's Department of Psychology conducted two surveys of jurors in Solano County, California—which has the highest concentration of African Americans in the state—18 months apart to examine how racial differences in death-penalty opinions affect the composition of capital juries. As support for the death penalty has declined in recent years, the gap between the views of Whites (and particularly White males) and the views of African Americans and women has grown, exacerbating what the authors call "tension between the constitutionally sanctioned practice of death-qualification and a capital defendant’s constitutional right to be tried by a representative and unbiased jury." The researchers asked respondents about their views on the death penalty, and about whether those views would interfere with their ability to apply the law in a death-penalty trial, which would make them legally excludable from a jury. They found that the death-qualification process excluded a far greater percentage of people who said they opposed the death penalty than said they supported it, and that the rate of exclusion was even more disproportionate for African Americans. And while nearly equal percentages of White men and women were excluded by the process, the women who were excluded were much more likely to oppose capital punishment. The death-qualification process, they said, also contributed to racially disparate use of discretionary jury strikes by the prosecution by providing a facially race-neutral reason for disproportionately excluding African-American jurors. When the researchers asked jurors about their attitudes towards potentially aggravating and mitigating evidence, they found that a majority of White jurors—and particularly White male jurors—disregarded most mitigating evidence that would be offered to spare a defendant's a life and that a significant minority of these jurors inappropriately viewed many of these mitigating factors as reasons to impose a death sentence. They also found that White respondents "were significantly more receptive to aggravating evidence and were more inclined to weigh these specific items in favor of a death sentence compared to African American respondents." The process, they said, "creat[es] a jury whose members are unusually hostile to mitigation," which may "functionally undermine" the fair consideration of a capital defendant's case in mitigation. "This risk," the authors wrote, "is particularly high in cases involving African American defendants, especially where white men dominate the jury." The overall result, they said, is that, "[i]n a county in California where support for and opposition to capital punishment are beginning to approach parity, death qualification still has the potential to produce jury pools that are significantly more likely to favor the death penalty." On April 26, 2018, the Equal Justice Initiative (EJI) opened the Memorial for Peace and Justice and its accompanying Legacy Museum, which tell the stories of the more than 4,000 men, women, and children killed by racial terror lynchings in the century following the Civil War, and trace the connections between slavery, segregation, capital punishment, and mass incarceration. The opening drew thousands of visitors from across the country, theatrical headliners, and a host of civil rights legends—including Congressman John Lewis and the surviving plaintiffs and lawyer who brought the lawsuit that ended segregated seating on public buses. The memorial and museum arose out of the criminal defense work of the Equal Justice Initiative and its founder, Bryan Stevenson, first representing indigent prisoners on Alabama’s death row and later expanding to fight juvenile life sentences and other manifestations of mass incarceration. Stevenson said, “It really springs from that experience of representing people in courts and beginning to see the limits of how committed our courts are to eradicating discrimination and bias. I want to get to the point where we experience something more like freedom. … I don’t think we are going to get there until we create a new consciousness about our history.” EJI’s research on lynchings, including the 2015 report, Lynching in America: Confronting the Legacy of Racial Terror, shows a clear link between lynchings and the death penalty. Counties and regions that today carry out the most executions are the same places in which lynchings were most likely to take place, and the ongoing racial bias in the application of the death penalty reflects the legacy of racial terror lynchings. “[I] believe that capital punishment is the stepchild of lynching,” Stevenson said. “It was disproportionately used against people of color; it still continues to be shaped primarily by race.” As America’s global allies pressured the country to end lynchings after World War II, Stevens said, “lynchings moved inside. We still executed mostly black people after proceedings that were unreliable and unfair. We promised ‘swift justice,’ which was intended to be the same thing as lynching without the spectacle, without the optic, without the mob.” Stevenson said he was motivated to create the memorial and museum because a discussion of the past is necessary to create a more just and equal society. “We haven’t created spaces in this country that tell the history of racial inequality, of slavery, of lynching, of segregation that motivate people to say, ‘Never again,’” he said.